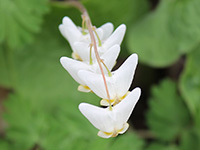 Dutchman's Breeches are a perennial herbaceous plant, native to rich woods in Eastern North America. The common name of the plant derives from their white flowers that look like white breeches. Dutchman's breeches was likely introduced to cultivation in England when Philip Miller introduced it to the Chelsea Physic Garden. Miller likely received it from John Bartram. The species was, however, not mentioned in American horticultural literature until the early 19th century. The species name cucullaria means "hood-like" which is a reference to the flowers. 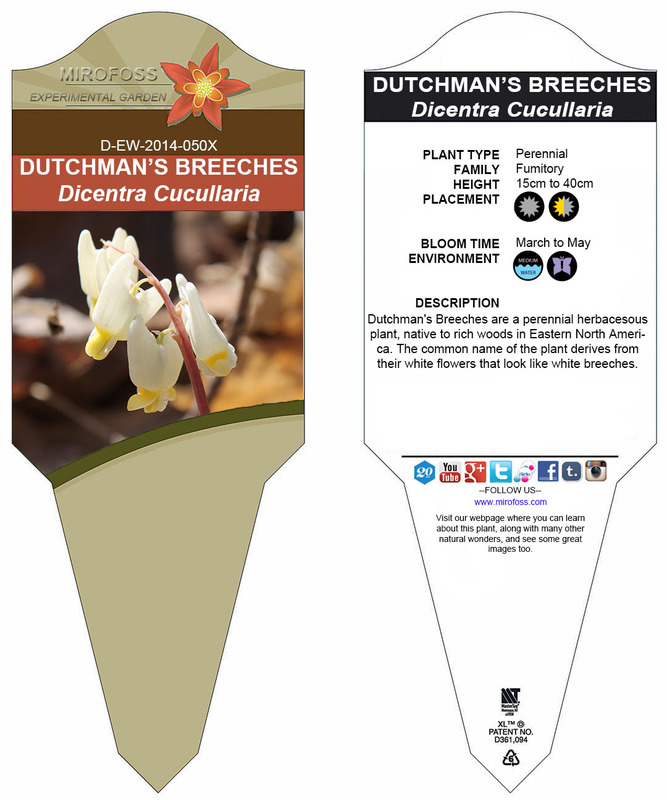 There are currently no commercial applications for dutchman's breeches. 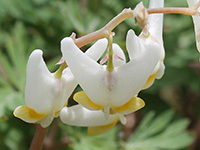 Within the realm of rational and holistic medicine, dutchman's breeches were used as a tonic in the treatment of venereal disease. A tea made from the roots is diaphoretic and diuretic. A poultice made from the leaves has been used in the treatment of skin ailments and as a muscle rub to make them more limber. The plant contains an alkaloid that depresses the central nervous system which is used in the treatment of paralysis and tremors. Native Americans and early European practitioners considered this plant useful for syphilis, skin conditions and as a blood purifier. 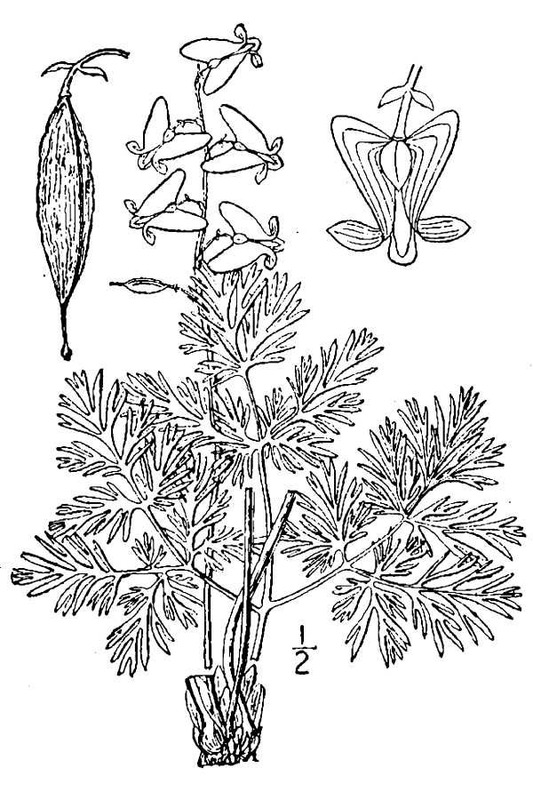 Dutchman's breeches contains several alkaloids that may have effects on the brain and heart. Please note that MIROFOSS does not suggest in any way that plants should be used in place of proper medical and psychological care. This information is provided here as a reference only. 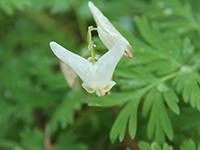 Dutchman's Breeches is POTENTIALLY TOXIC and should not be consumed. Please note that MIROFOSS can not take any responsibility for any adverse effects from the consumption of plant species which are found in the wild. This information is provided here as a reference only. 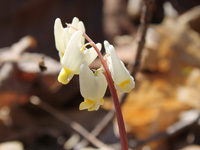 Dutchman's Breeches grows in cool places in rich deciduous forests. Suitable for: light (sandy) and medium (loamy) soils. Suitable pH: acid and neutral soils. It can grow in full shade (deep woodland) or semi-shade (light woodland). It prefers moist soil. 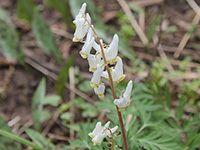 Dutchman's Breeches grow from 15cm to 40cm tall from teardrop-shaped bulblets. 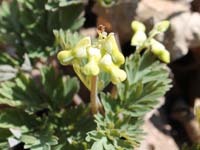 The leaves of dutchman's breeches are basil shaped and 14cm to 16cm long. The flowers are white and grow in elongated clusters from a central stalk. Each flower is 14mm to 20mm long with four pedals and a yellow or pink tip. Dutchman's Breeches are dependent on bumblebees for cross-pollination. In fact, the flower structure and mechanism by which it is pollinated indicate that it is adapted for bumblebees, which can separate the outer and inner petals of the flower. They will then use their front legs to expose the stigma, stamen, and anthers. Shortly afterwards, they will sweep pollen in a forward stroke by utilizing their middle legs, before leaving the flower to return to the colony with the pollen. In this way, dutchman's breeches are pollinated as the bees move from plant to plant, and the bumblebee meets its dietary needs. 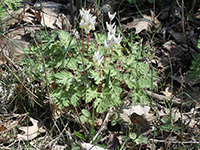 Dutchman's Breeches are potentially toxic and should not be consumed. 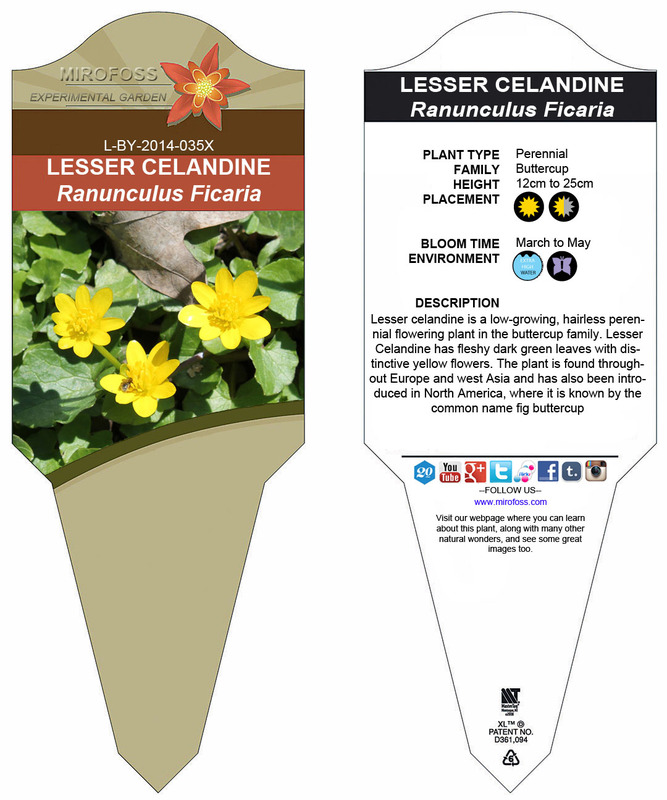 The MIROFOSS database offers free printable garden tags for personal and non-profit use. These tags can be used to properly identify plant samples in a garden. Click on the tags shown on the the screen or -click here- to download a full size jpeg image for a dutchman's breeches identification tag; which can be printed on paper or used with a plastic laser printer. 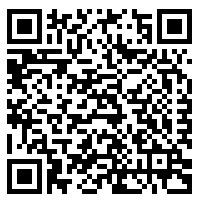 This is a QR code (short for Quick Response) which gives fast-track access to MIROFOSS articles. QR Codes are barcodes that can be read by smart phone cameras. This QR Code is unique to this MIROFOSS article. You can copy and print the QR code to a plant label, poster, book, web site, magazines, or newspaper so smart phone users can scan the QR Code which automatically takes them to this specific article. 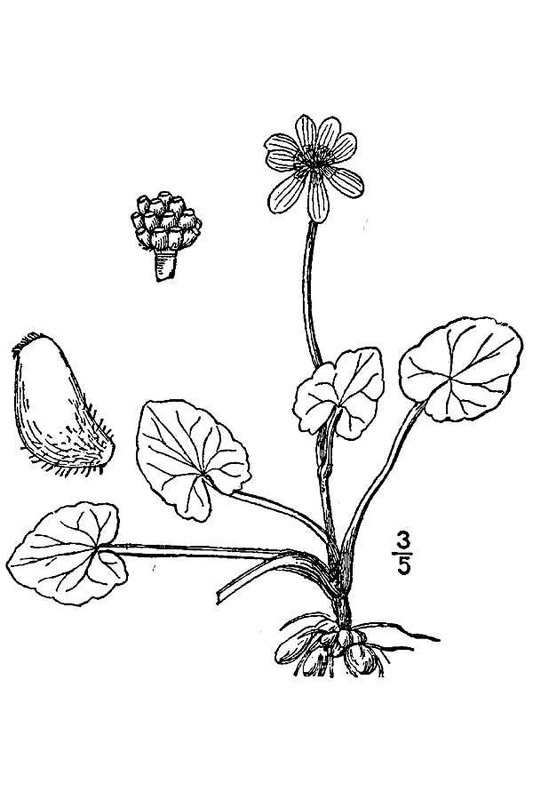 Description Dickinson, T.; Metsger, D.; Bull, J.; & Dickinson, R. (2004) ROM Field Guide to Wildflowers of Ontario, Royal Ontario Museum, Toronto:McClelland and Stewart Ltd. Description Southern Appalachian Species Viability Project. 2002. A partnership between the U.S. Forest Service-Region 8, Natural Heritage Programs in the Southeast, NatureServe, and independent scientists to develop and review data on 1300+ regionally and locally rare species in the Southern Appalachian and Alabama region. 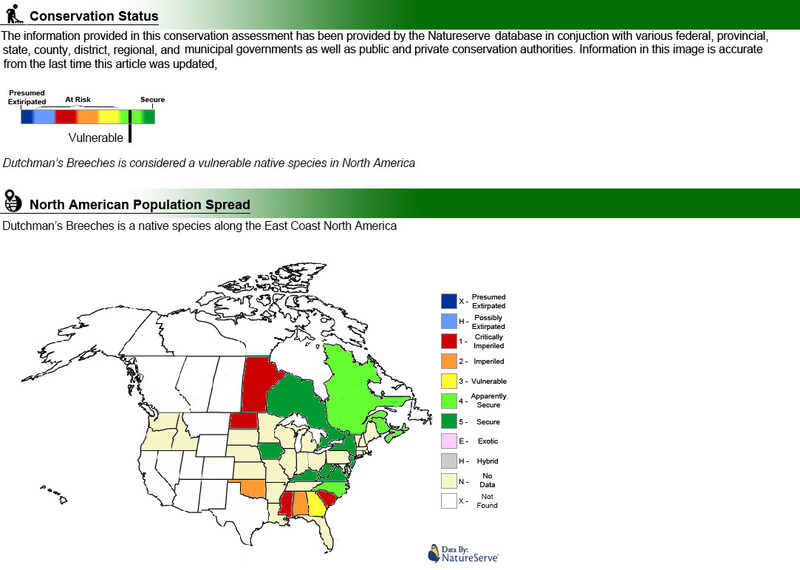 Database (Access 97) provided to the U.S. Forest Service by NatureServe, Durham, North Carolina. Description Kartesz, J.T. 1994. A synonymized checklist of the vascular flora of the United States, Canada, and Greenland. 2nd edition. 2 vols. Timber Press, Portland, OR. Folklore Tebbitt, Mark C.; Lidén, Magnus; Zetterlund, Henrik (2008-01-01). Bleeding Hearts, Corydalis, and Their Relatives. Timber Press. pp. 60–61. ISBN 9780881928822. Biology Pollen-Foraging Behavior of Bombus in Relation to Pollination of Nototribic Flowers on JSTOR". JSTOR 2440764. 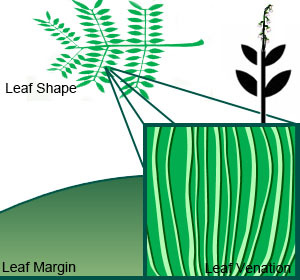 Image Rendering USDA-NRCS PLANTS Database / USDA NRCS. Wetland flora: Field office illustrated guide to plant species. USDA Natural Resources Conservation Service.